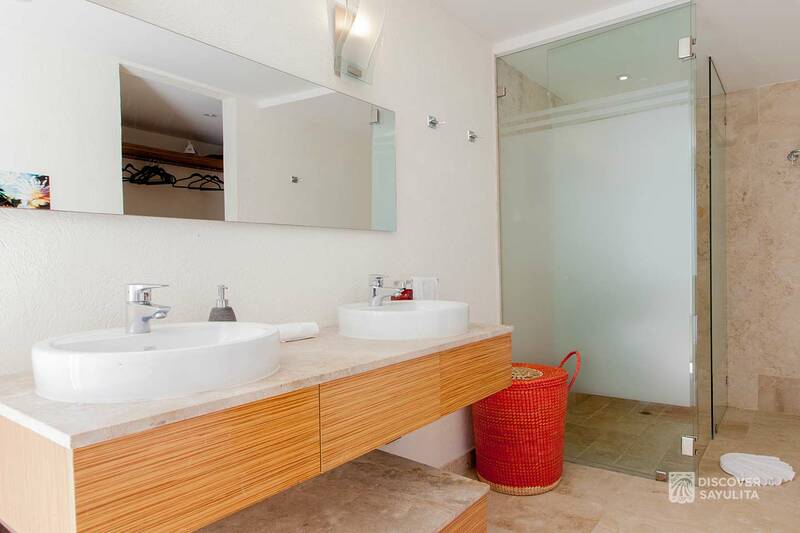 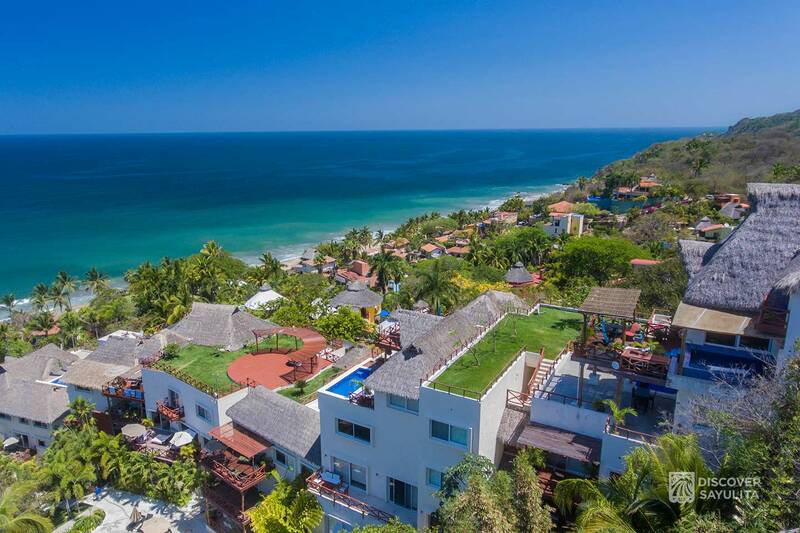 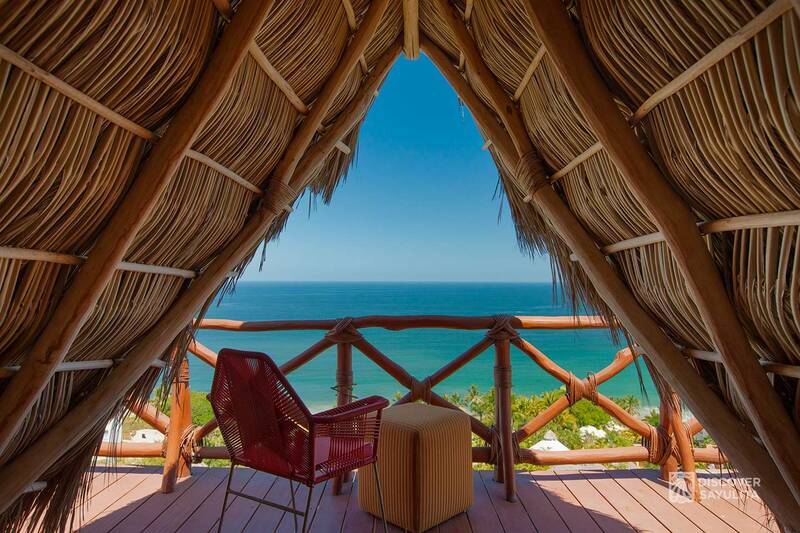 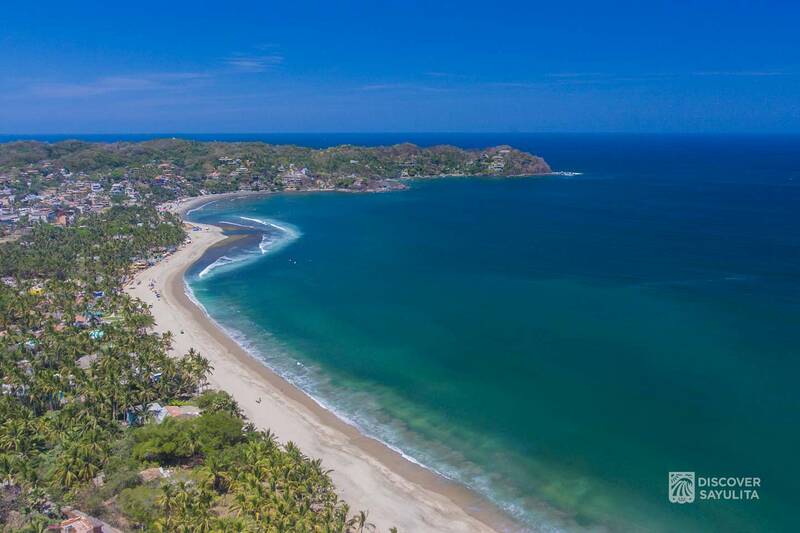 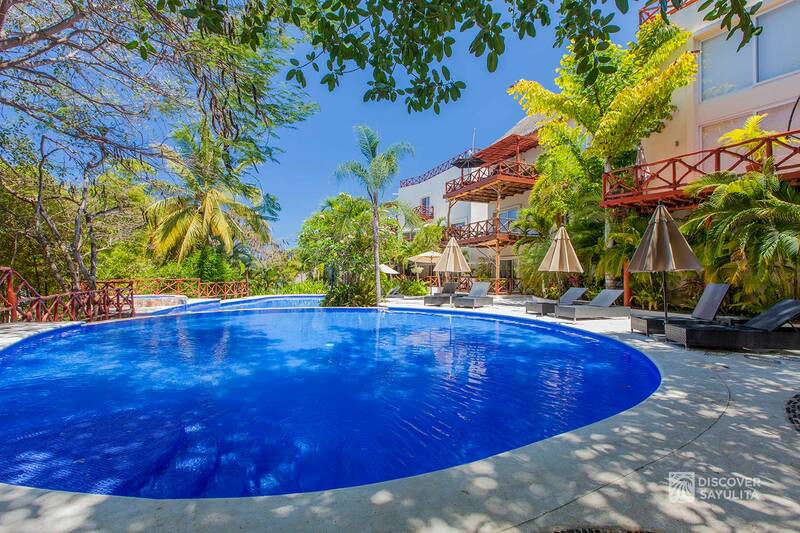 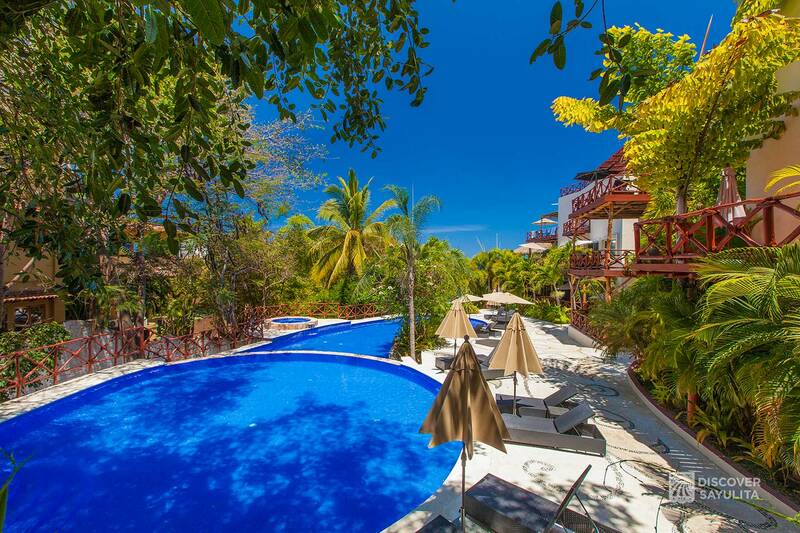 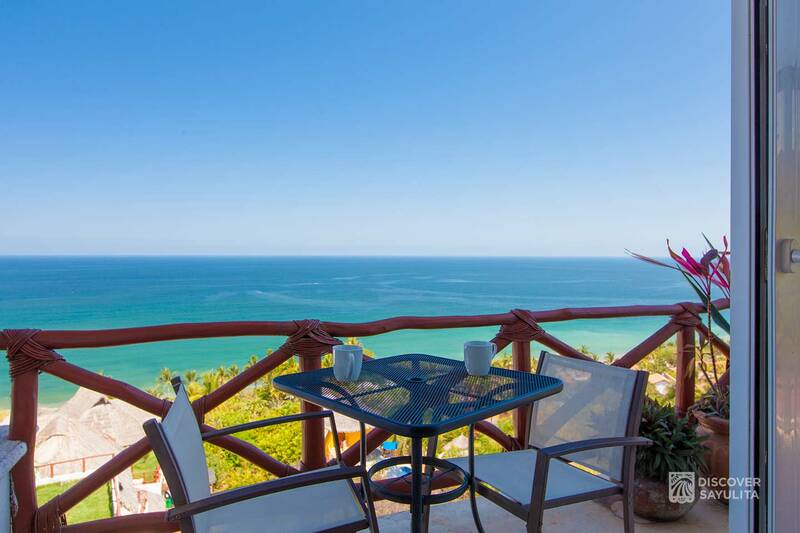 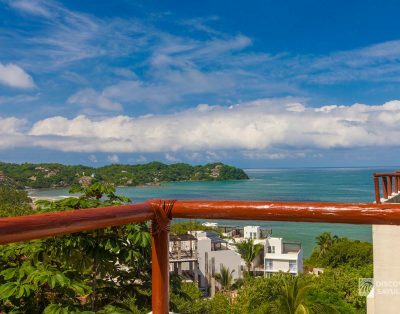 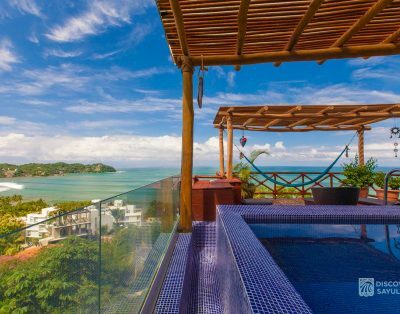 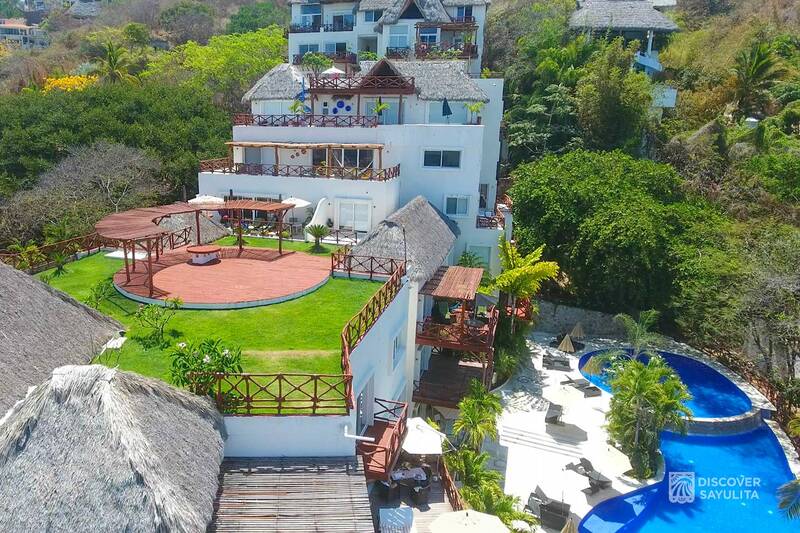 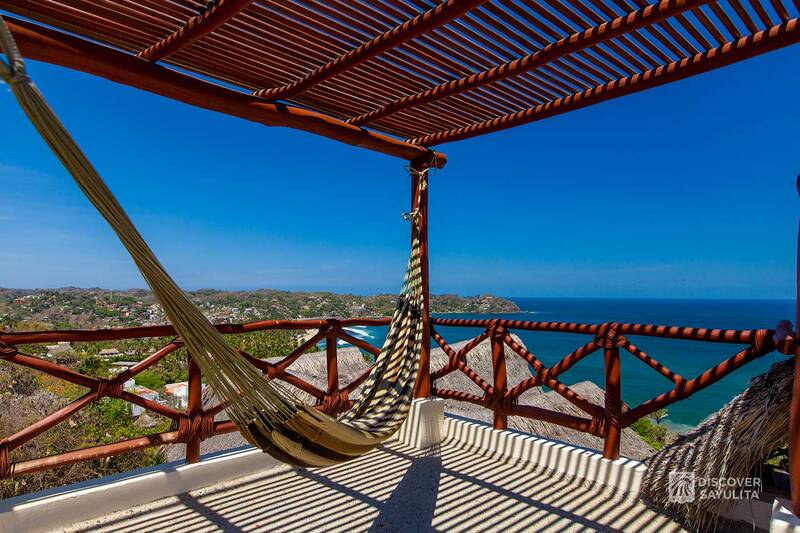 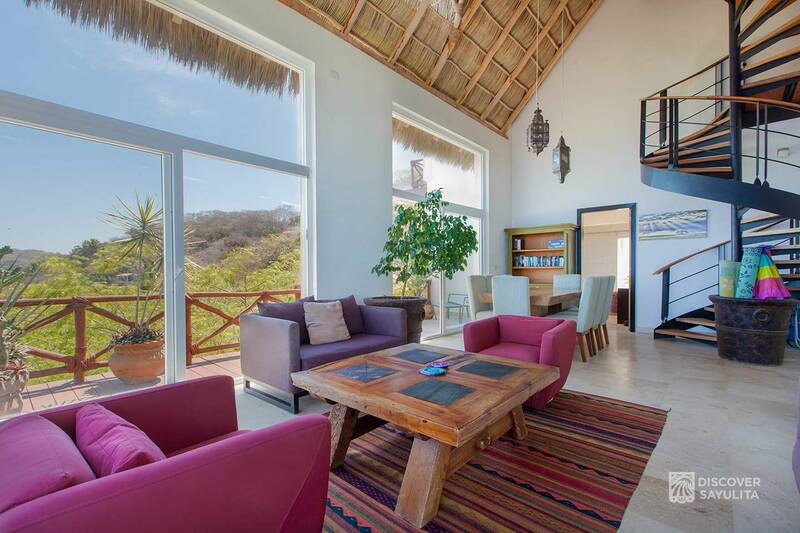 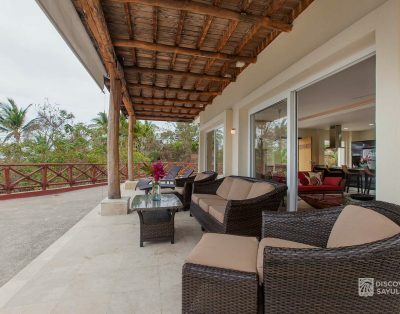 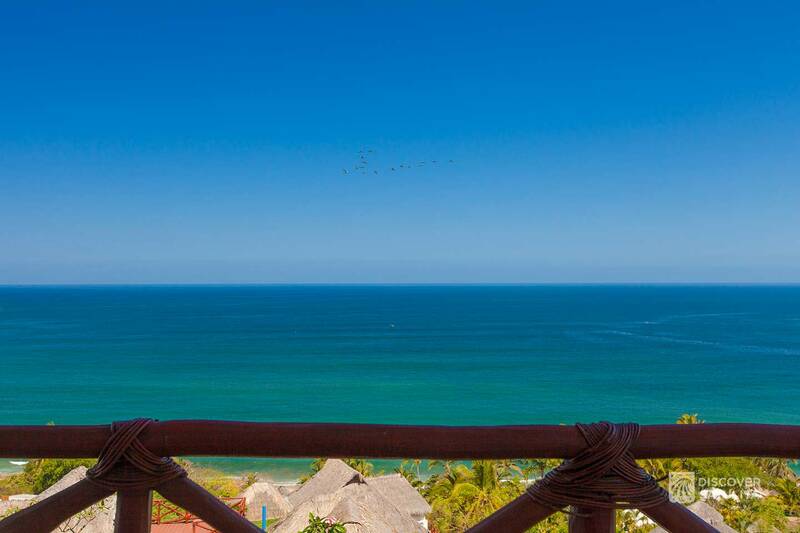 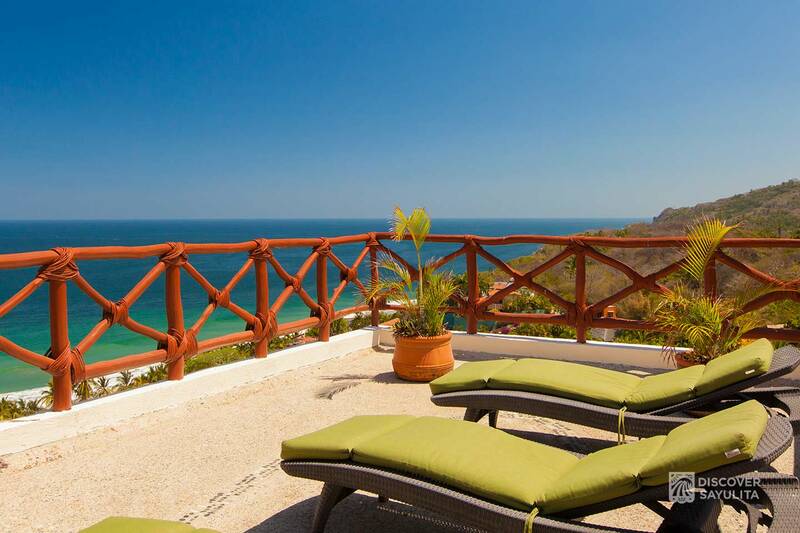 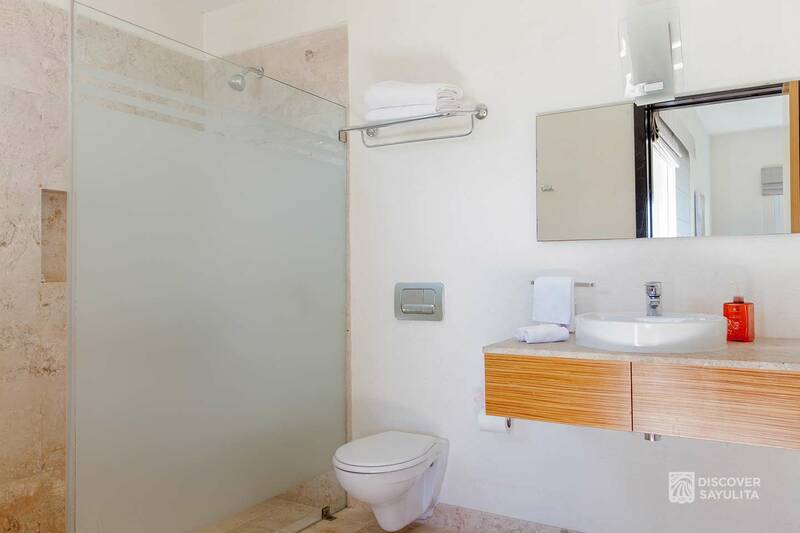 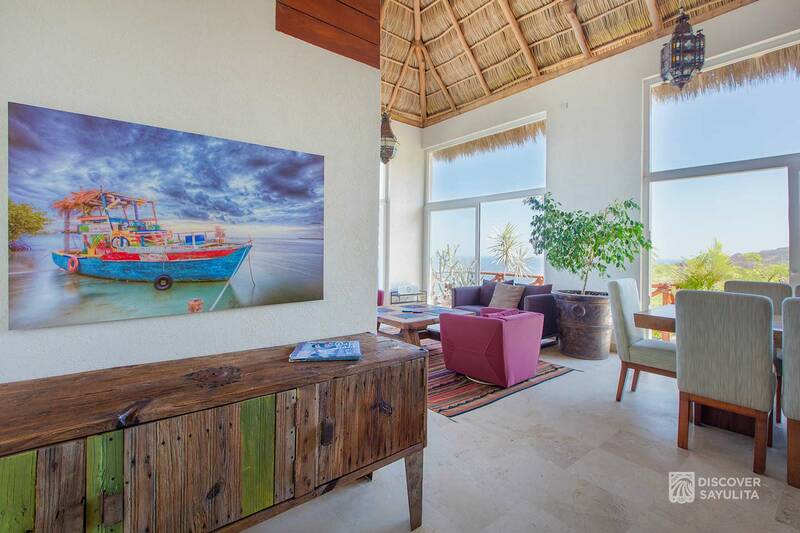 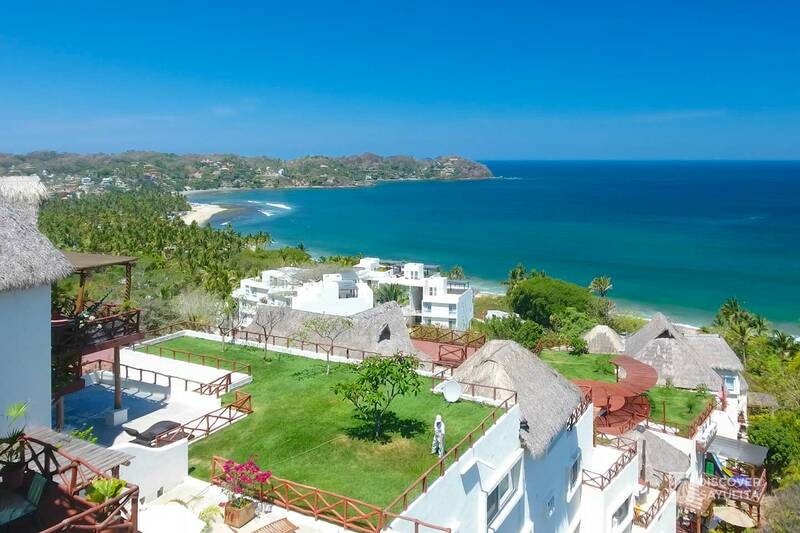 Featuring panoramic views of the ocean and the village of Sayulita, Pajaro de Fuego’s luxury beach condo, Casa Wabisabi is your perfect vacation spot. 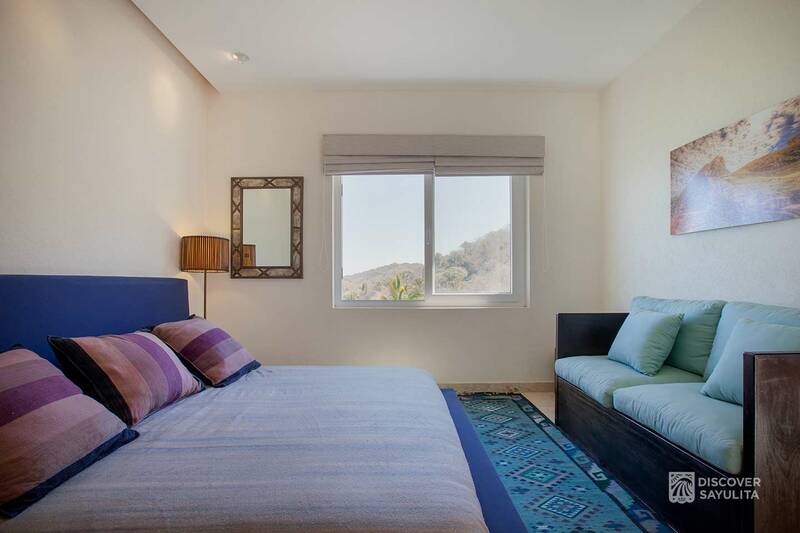 This 3 story townhouse features 3 master suites with king-sized beds and 3 full baths. 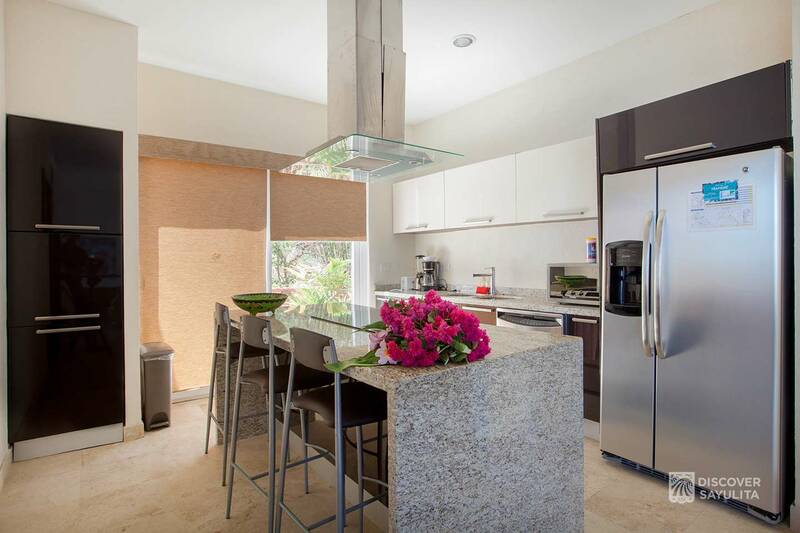 There is a gourmet kitchen with granite countertops and a large great room, dining room, and wrap-around balconies with additional dining table and sun chairs. 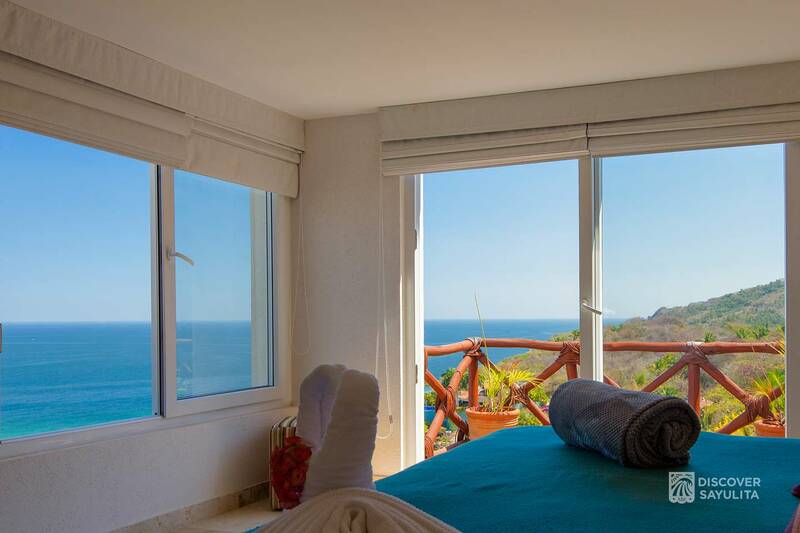 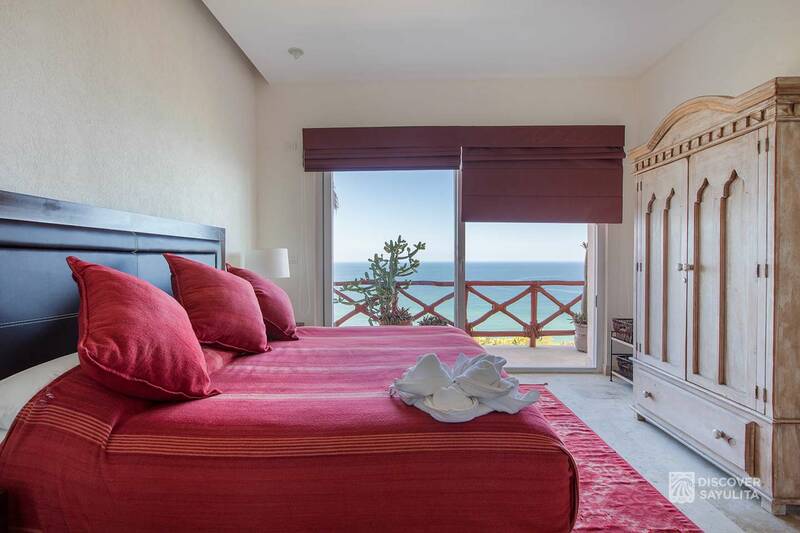 Each room features spectacular views of the ocean. 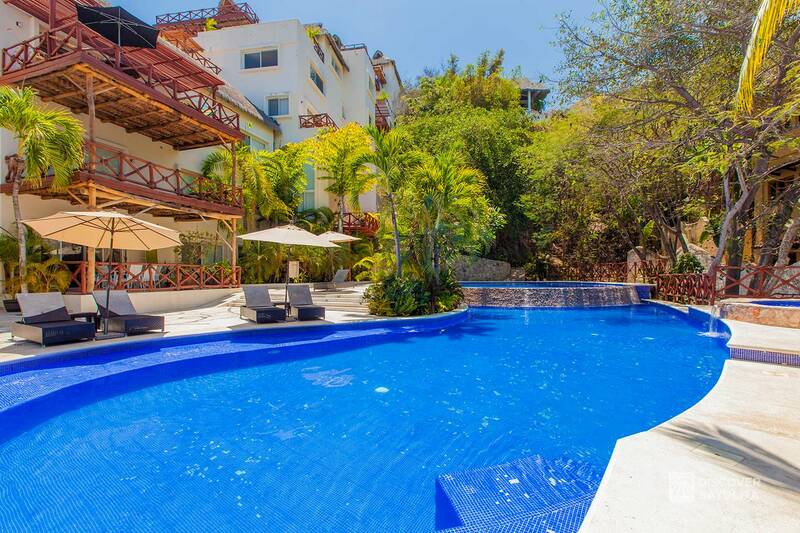 There are 2 bedrooms and two baths located on the lower level. 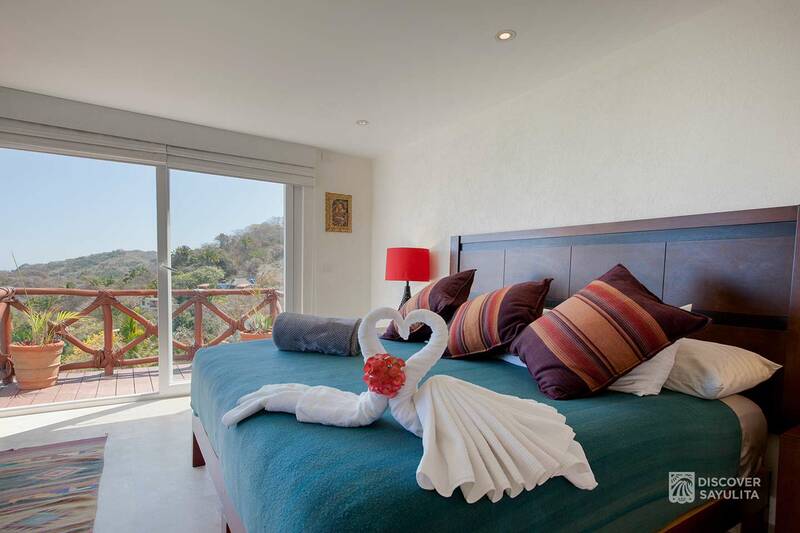 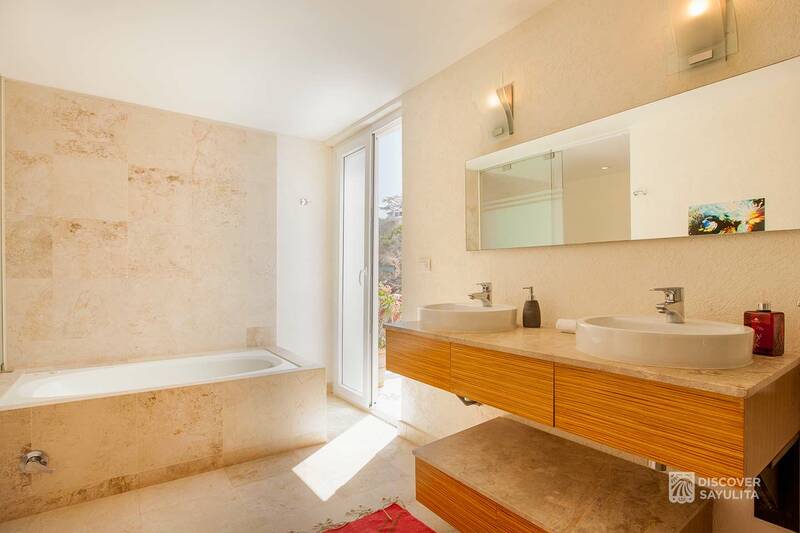 Up the beautiful spiral staircase is a romantic master suite and bath with twin sinks, shower and jacuzzi tub. 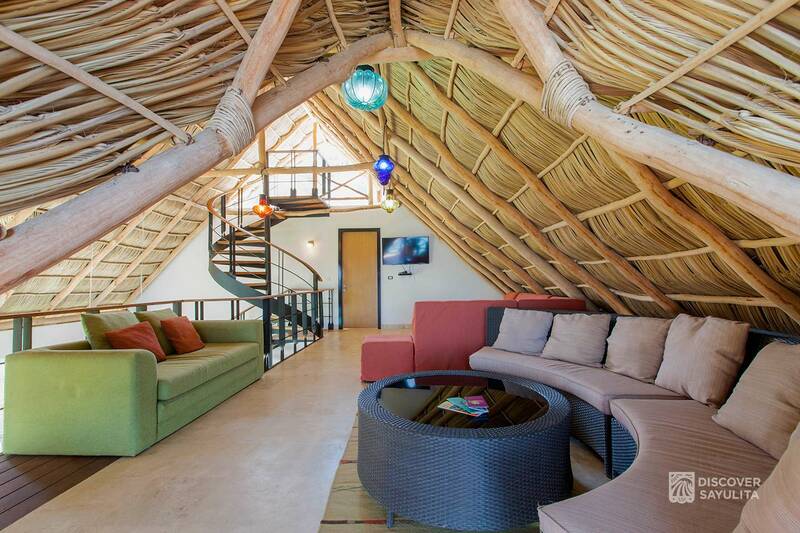 A spacious 2nd story loft serves as a game and relaxation area or an additional sleeping for 1-2 kids. 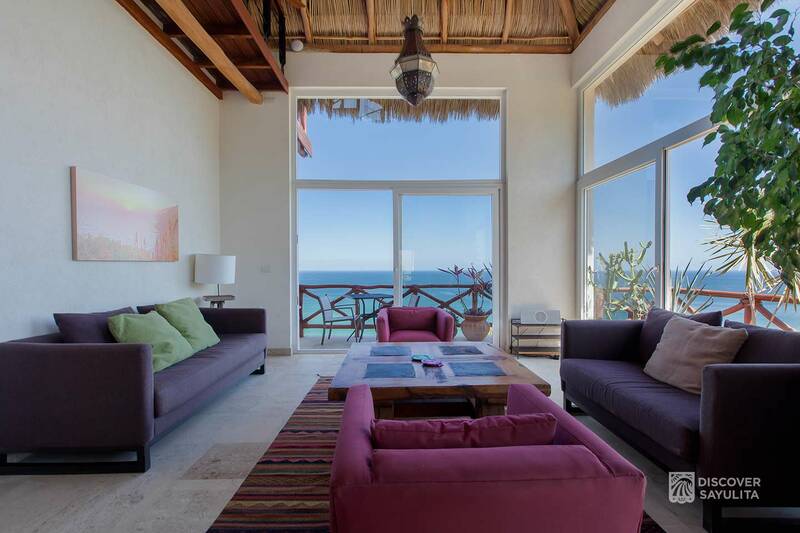 One floor above is a large rooftop sundeck that offers amazing views of the waves, surfers, whales and sunsets. 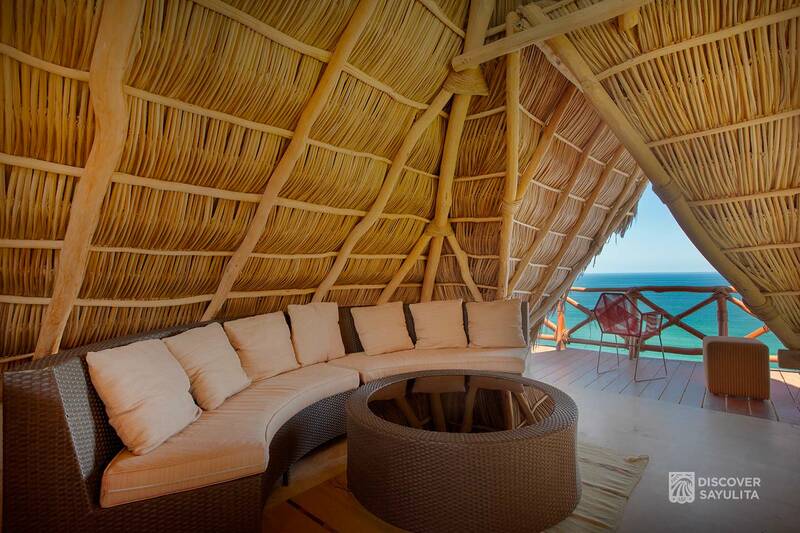 It is the perfect place to relax and breathe in the fresh ocean air in with friends and family or in solitude. 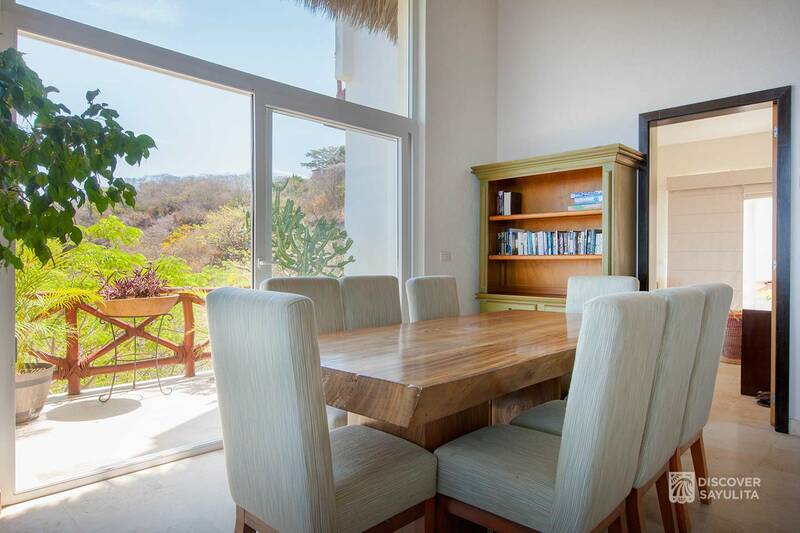 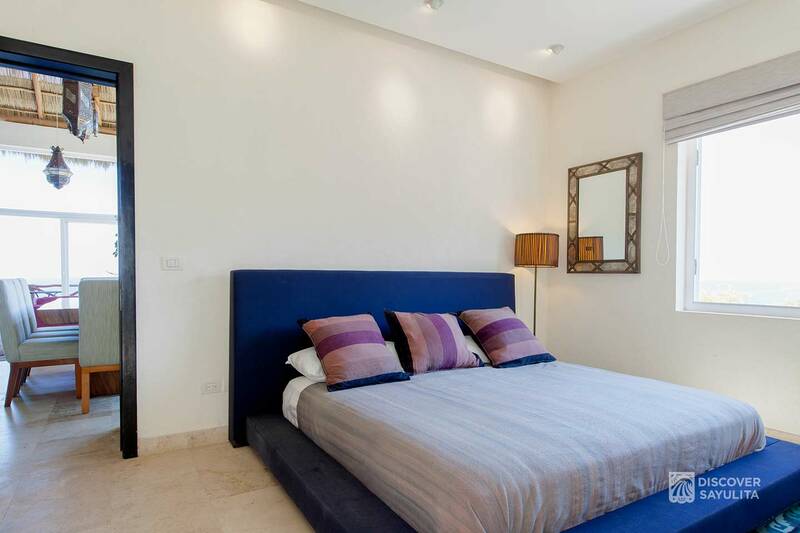 Casa Wabisabi sleeps 6 adults and can accommodate 8 guests if there are children. 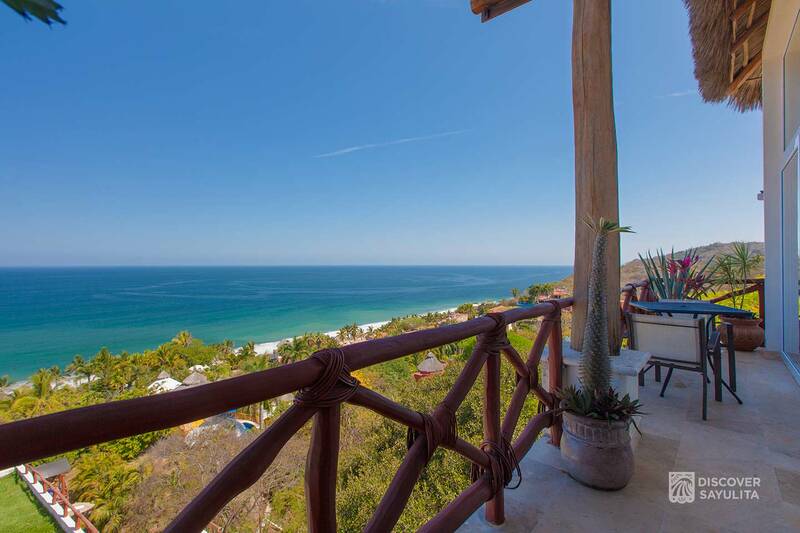 The beach is a 5-minute walk from Casa Wabisabi and a 15 minute walk to the center of town. 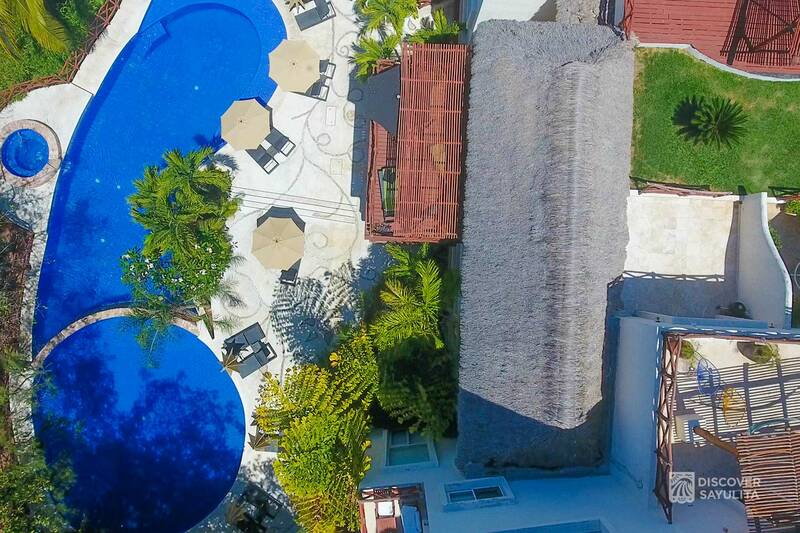 The Pajaro de Fuego complex has a huge common pool, lounging area, landscaped gardens, gym, and covered parking available. 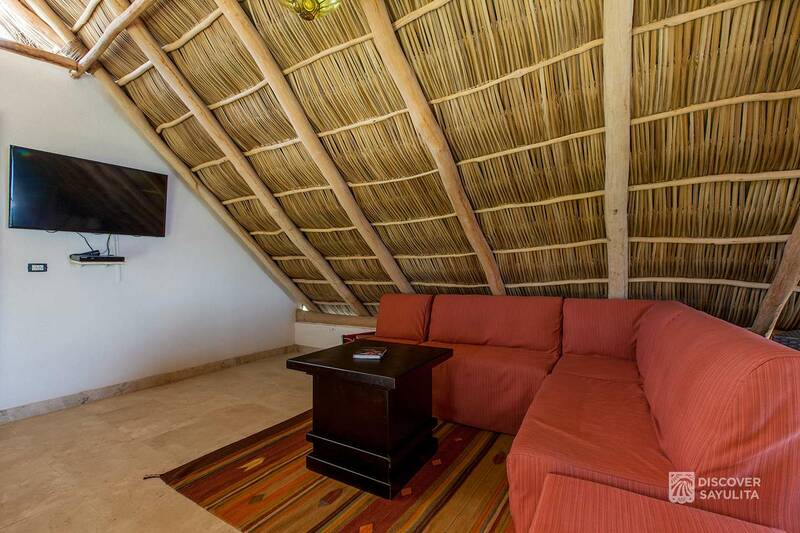 Casa Wabisab includes daily maid service in all rentals. 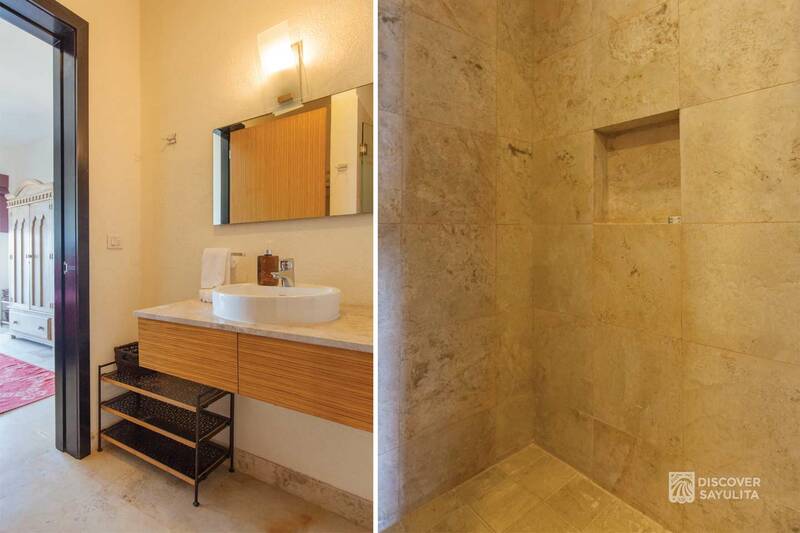 Wabisabi is on the 9th floor of our property with stairs to climb to reach the entrance. 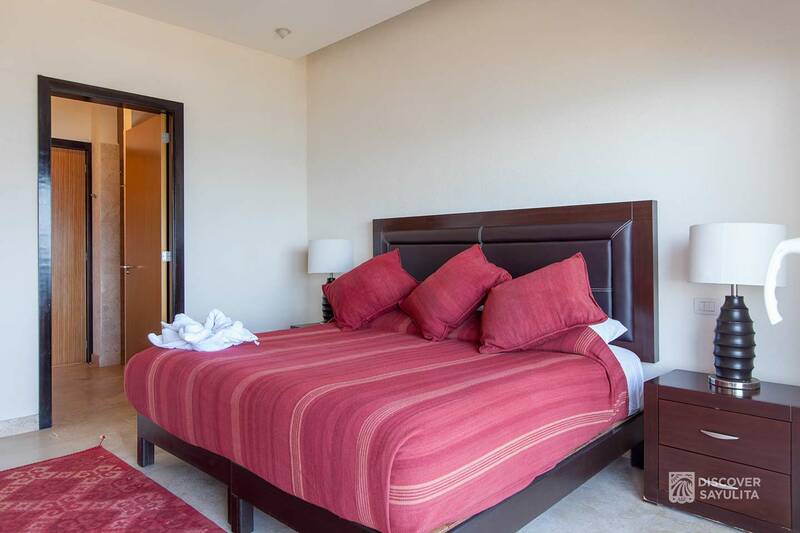 Guests must be willing to climb stairs, or have the option to rent a 4-wheel drive vehicle to park next to the unit.